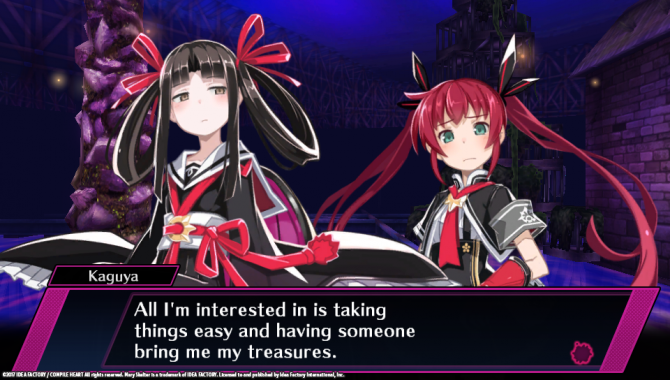 DualShocker speaks with Mary Skelter: Nightmares director Atsushi Ishizuka about the development and story of the upcoming dungeon crawling RPG. Mary Skelter: Nightmares is an upcoming game from Idea Factory International for the PlayStation Vita, available on September 19. The game features characters from Grimm’s Fairy Tales told in an original story about a group of humans attempting to escape from a mysterious living jail. Playable characters who make up a group known as the “Blood Maidens” are the only ones who can battle against the enemies that roam the prison. Over time, more information is learned about the Living Jail as the group searches for a way to escape and return to the human world. To learn more, DualShockers had the chance to interview Mary Skelter: Nightmares director Atsushi Ishizuka and discuss the game’s development and story. Azario Lopez: Mary Skelter: Nightmares contains many themes and character likenesses from Grimm’s Fairy Tales. When was it during development that this concept was implemented and why was it chosen? Atsushi Ishizuka: From the beginning of this project, we knew that we would include elements of Grimm’s Fairy Tales in this game. 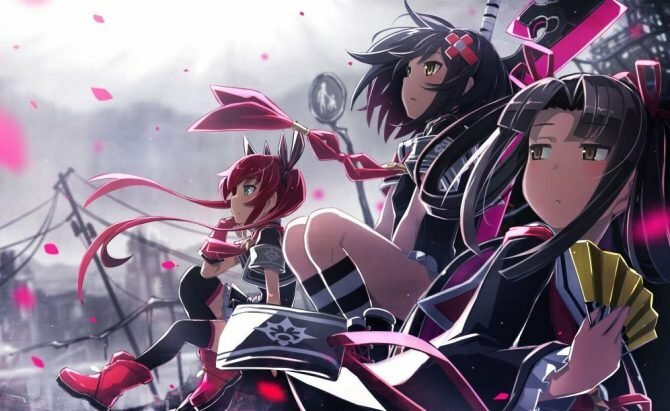 I thought the uniqueness and depth of the stories would not only complement Mary Skelter’s concept and world, but would also be a good match for the game’s dev team. I believed that pairing this theme with this type of game would offer something special the fans would thoroughly enjoy. 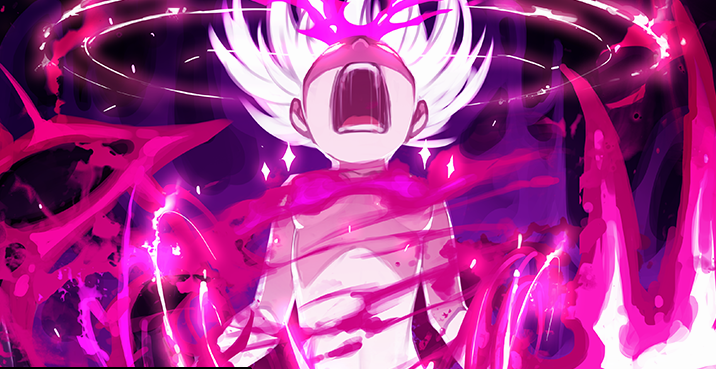 A: I’d also like to ask about the horror elements in Mary Skelter: Nightmares. What is your experience with the horror genre and did you implement anything you personally enjoy about the genre into the game? A: There have been many different kinds of dungeon crawler video games. Why did you feel that this genre was best for Mary Skelter: Nightmares and how do you feel it stands out when compared to other dungeon crawlers? AI: A dungeon crawler allows us to create an environment where a very real “pressure” can be felt by the players in a way that other genres would not be able to deliver. The story and setting of Mary Skelter lends itself well to this aspect. Something that sets this title apart from other dungeon crawlers is that we’ve created a system where enemies will actually be hunting you in real time as you make your way through the levels. A: Players have the choice to become closer to party members by spending time with them and customizing their rooms. Do you feel that having the option to learn more about the girls and earning their love is an important part of the overall game? AI: One of the elements to enjoy this game is to gain party members’ love and understand them fully. 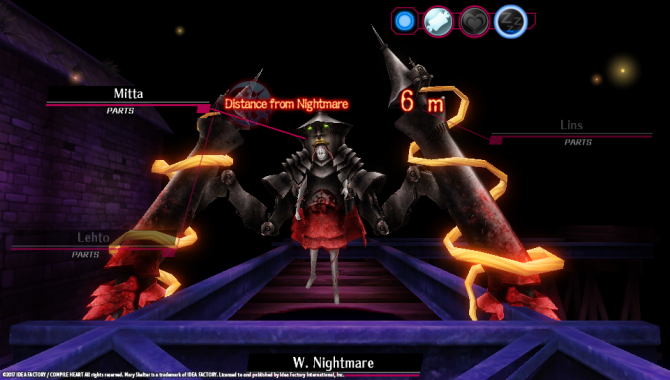 A: Each party member in Mary Skelter: Nightmares can transform into a different mode during battle, Massacre and Blood Skelter. Was it difficult for the team to illustrate alternate versions of the party members? AI: I must say that it was actually very difficult to design these characters. 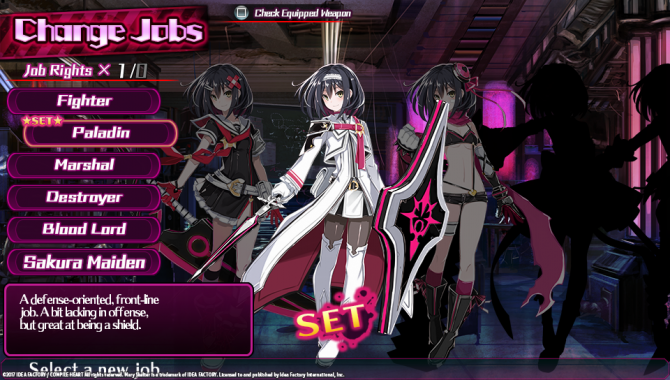 However, Kei Nanameda worked really hard to create fantastic characters in different modes for Mary Skelter. I am very happy about them. A: Mary Skelter: Nightmares is currently exclusive to the PlayStation Vita. 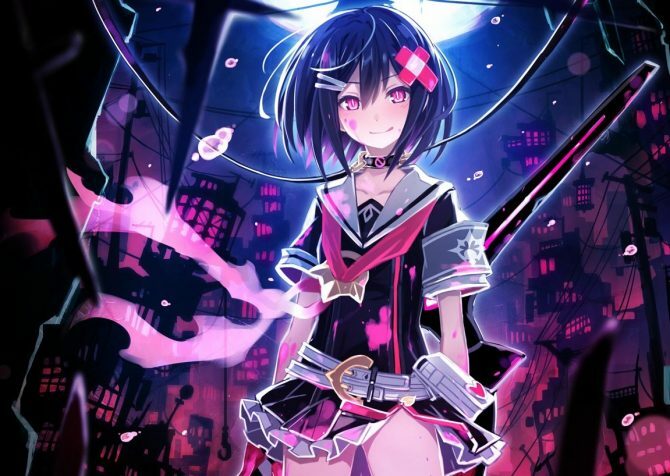 Would you like to see Mary Skelter: Nightmares released on the PC? AI: If the opportunity arises, I would love to port Mary Skelter to PC so that PC users can also enjoy this game! 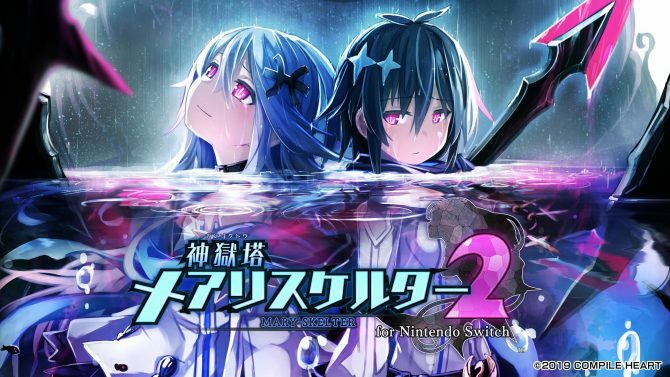 A: Now that Mary Skelter: Nightmares is releasing in the west, where do you see the series heading? Would you like to create a sequel to the game? 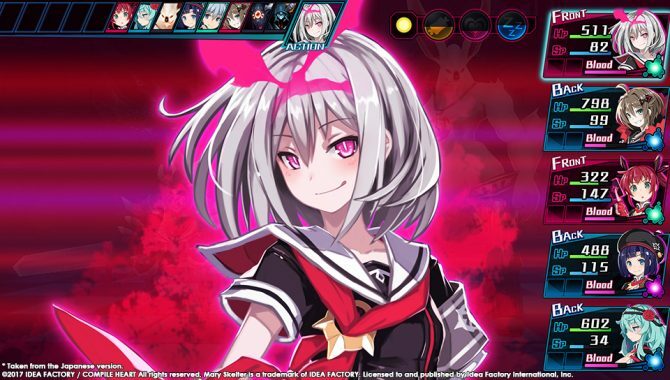 AI: I would love to consider a sequel to this game for all the fans who supported Mary Skelter, but at this moment, we do not have any concrete plans for it. A: This may be difficult to answer, but do you have a favorite character from Mary Skelter: Nightmares? A: Is there anything you’d like to say to western fans awaiting the release of Mary Skelter: Nightmares? AI: Thank you very much for your interests in Mary Skelter! My team and I put out a lot of effort and poured our passion into this game, so I hope a lot of people will give it a try and enjoy Mary Skelter. We exist because of your support, so I cannot thank you enough for that! Thank you!